Fake trailers that take one kind of movie and make it look like a different kind of movie are nothing new, like this romantic comedy version of The Shining or a horror take on The Lego Movie, but they don’t always work as well as this dramatic spin on Chris Farley and David Spade’s 1995 comedy classic Tommy Boy. The real film centers around Farley and Spade going on an extremely wacky road trip after the sudden death of Farley’s character’s father, and Mashable’s dramatic remix completely changes the tone by simply taking out all of the jokes. The music and the bits of praise from critics are very drama-y, but beyond that this trailer is really just Tommy Boy without any funny bits. Instead of being about Farley’s ridiculous antics, then, it’s about his earnestness and his grief over the loss of his father. 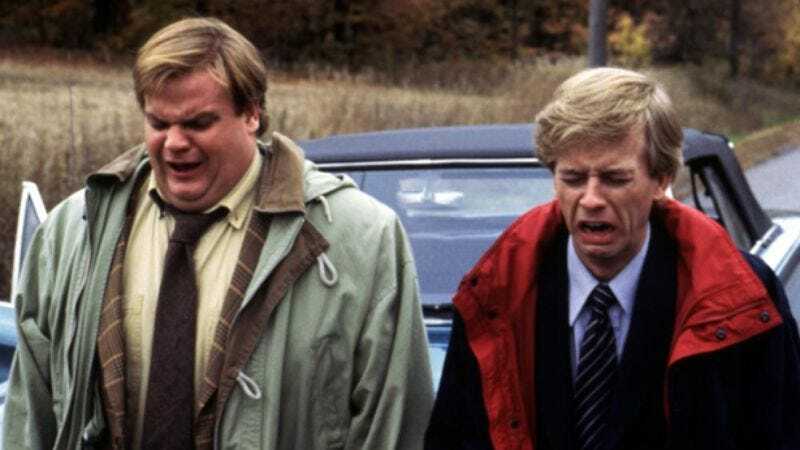 Of course, a version of Tommy Boy without a fat guy in a little coat probably wouldn’t have been an especially big hit, but we’d definitely see a full version of this movie.